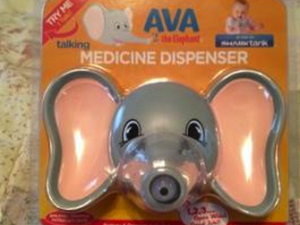 Ava the Elephant, originally called Emmy the Elephant, is a medicine dispenser that eliminates the scare many young children get when taking oral medicine. It was founded by Tiffany Krumins when one of the children she was watching would refuse to take medicine. With a background in medicine, Tiffany knew that many parents faced similar issues and that children weren’t afraid of the medicine, but rather the process. Tiffany set out to solve this issue and was able to create a prototype of Emma the Elephant with some basic supplies from the store such as sponges and fabric. Having no background in product development, however, Tiffany faced many challenges that early entrepreneurs do such as how early a patent was needed or how to get into retailers. She applied to be on Shark Tank hoping to get help on the business side and was invited for the very first episode! Tiffany entered the Shark Tank seeing $50,000 for 15%. Tiffany described how she came up with the idea and demonstrated how to use it. 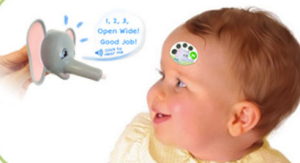 After passing out prototypes, Kevin O’Leary quickly stated his concern of how the child might realize Ava the Elephant gives ill tasting medicine and it would no longer work. Tiffany defend her idea by explaining how children are not afraid of ill tasting medicine, but rather the process and that Ava the Elephant congratulates the child after they take it which brings a smile to the child’s face. Tiffany then mentioned how she did not have a patent, but that is what she was seeking the money for along with a working prototype and that no one had patented something similar. Kevin O’Leary demonstrated a common concern in the Tank with the fact that Tiffany had an idea, not a business, and felt it would not be possible to get a return. Although Tiffany tried to defend her idea and state it could be a business, Kevin O’Leary went out. Daymond and Kevin Harrington also felt that Tiffany was too early so they went out as well. Robert jumped in and advised Tiffany to work out a licensing deal with a major company as he felt she didn’t need an investment. Tiffany was hesitant on Robert’s idea right before he went out as well. Barbara, the final shark left, mentioned that she loved the idea, but could not see herself getting her money back at %15. Because of this, she offered Tiffany $50,000 for %55 of the business which would give Barbara control. Tiffany tried to negotiate Barbara down, but could not as she mentioned she was not good at “playing hard-ball.” Tiffany began emphasizing what Barbara would bring outside of the money such as mentorship and connections, something a lot of entrepreneurs were unaware of in season 1, and decided to take the offer because of that. Barbara stated they would make a lot of money and she would keep this promise. Although Barbara invested $50,000 in Ava the Elephant on Shark Tank, in total she has invested $285,000 and revealed that bringing the product to market was much more expensive than she thought. 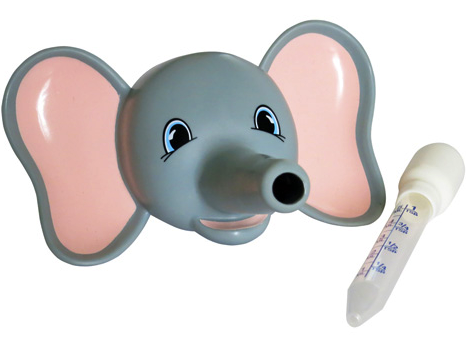 One hurdle that Tiffany faced was a pharmaceutical recall that caused the Ava the Elephant dropper to become useless. Tiffany was able to overcome this, however, by redesigning her product and returning production to the USA. With determination, Shark Tank exposure, and Barbara on her side, Tiffany has turned her product into a successful business.